Nirav Modi is wanted by ED on money-laundering charges in connection with the $2 billion alleged fraud. The government has removed Enforcement Directorate's special director in Mumbai, Vineet Agarwal, for his alleged interference in relieving the agency's investigating officer in the Nirav Modi money-laundering case without following due procedure, officials said Tuesday. They said the tenure of Mr Agarwal has been cut short by three years and the 1994-batch Indian Police Service officer of Maharashtra cadre has been repatriated to his home state with immediate effect. The Union Finance Ministry issued an order Tuesday after getting sanction from the Appointments Committee of the Cabinet and subsequently the ED headquarters in Delhi issued the orders relieving Mr Agarwal from the post of special director of the agency in Mumbai, the officials said. An ED special director, based in Mumbai, heads the western region of the agency and has control over Maharashtra, Gujarat, Madhya Pradesh and Chhattisgarh. The charge has now been handed over in an "additional capacity" to the agency's special director based in Chennai. Mr Agarwal was sent on deputation to the Enforcement Directorate in January 2017 for five years by the central government. His name cropped up on March 29 after he issued an order relieving his Joint Director in Mumbai, Satyabrat Kumar, from the Nirav Modi case probe when the court hearing in the extradition case of the fugitive jeweler was underway in London. As a controversy erupted in the sensitive case, being monitored at top levels of the government, ED Director Sanjay Kumar Mishra issued a fresh order in Delhi and cancelled Mr Agarwal's signed order, within a few hours. A report on the day-long episode, seen as embarrassing to the agency in an important case, was subsequently sent by the Enforcement Directorate headquarters to the Union Finance Ministry and the PMO, following which the officer was removed, the officials said. They said the IPS officer has been found guilty of exceeding his brief and interfering with the powers of the ED director and official procedures. A special director is only empowered to transfer or alter the charge of an official up to the level of an assistant director, officials explained. A joint director post is one above the assistant director and only the ED director is empowered to transfer such an official. The officials said "unnecessary controversy was created and the March 29 incident was seen as an attempt to weaken Indian investigating agencies'' efforts to extradite Nirav Modi by this act." 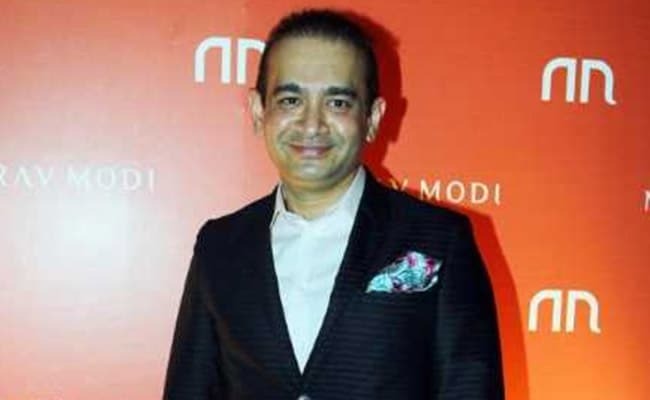 Nirav Modi is wanted by ED on money-laundering charges and by CBI for criminal corruption charges in connection with the $2 billion alleged fraud at Punjab National Bank, said to be the largest banking scam of the country. The ED, that day, had also issued a clarification through its Twitter handle, stating that "certain media reports" said the joint director supervising investigation in the case of Nirav Modi has been relieved. "This report is not correct and denied."